We've begun to notice that, in the past 10 weeks, we've mailed a lot of food. 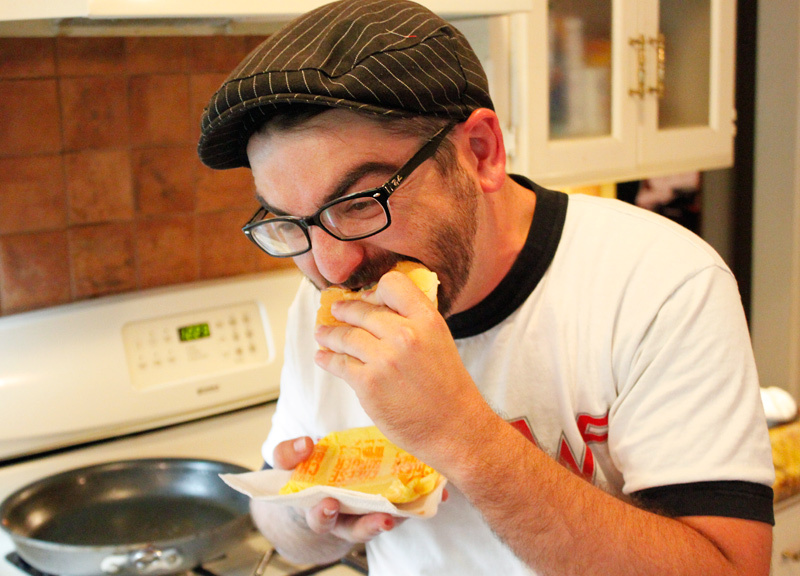 So far, we've tried everything from a package of hot dogs to a bag of oregano to a can of tomato paste. This whole mailing-random-things kick began when we first heard of the trend of people sending an unwrapped banana through the postal system. Seriously, it's a bigger trend than you might imagine. But, so far, all of our items have been pretty non-perishable — or at least in some sort of packaging that might help maintain some semblance of freshness. So when the Central Track headquarters were being packed up a couple weeks back in preparation to move to a new office and we found a forgotten McDonald's cheeseburger in the back of the office fridge, we knew just what to do with it. You see, like the Native Americans, we don't like to let any part of a value meal go to waste. 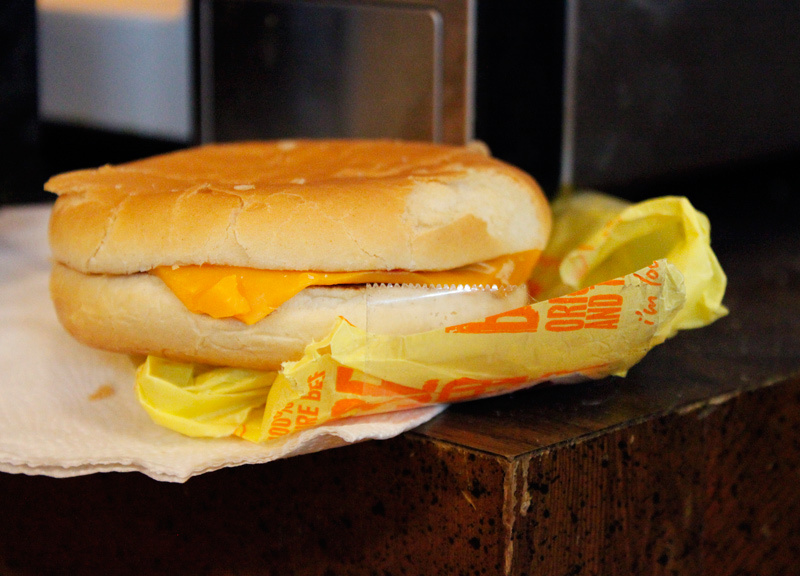 In theory, a cheeseburger wrapped in some flimsy yellow paper shouldn't last the several days it would take to mail. Granted, the bonus features from our Super Size Me DVD gave us a pretty good idea that the “food” from McDonald's wasn't really prone to rotting or otherwise acting in any way that resembled real food items. 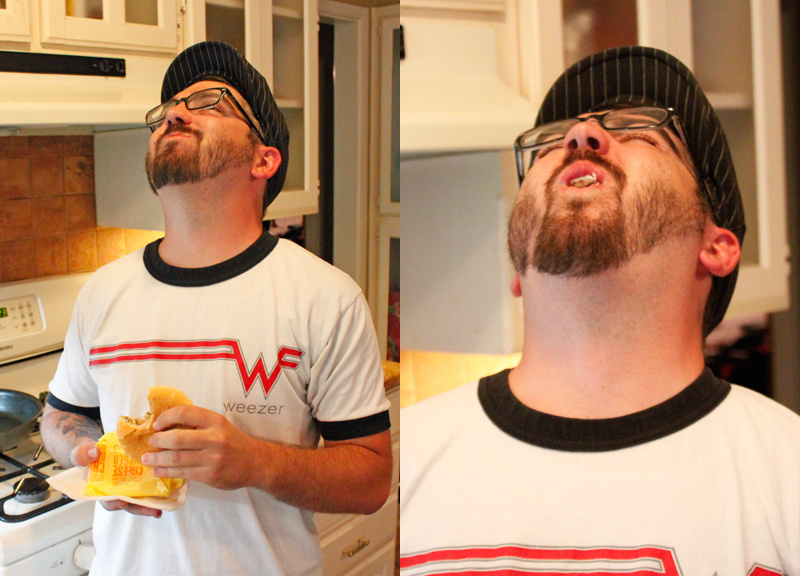 So we decided it was better to donate the burger to science than relegating it to the dumpster. 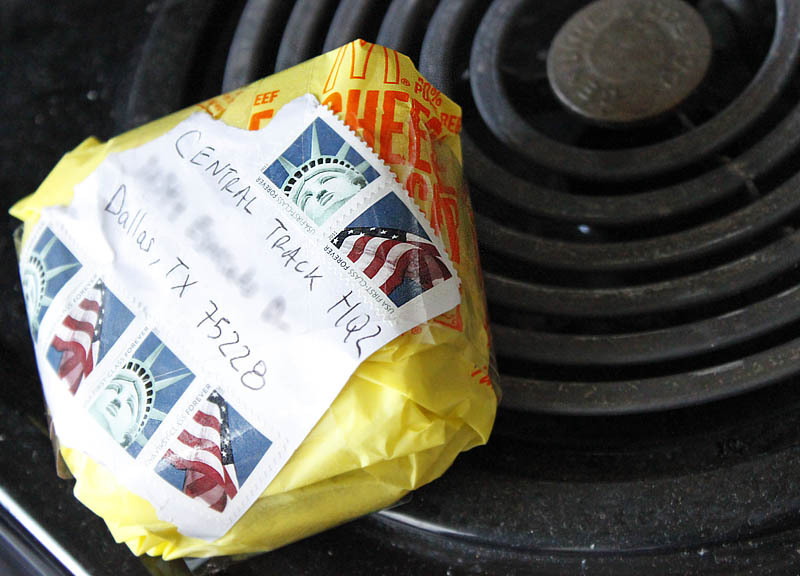 More so than any other mailing in the past few weeks, the Central Track staff doubted that the burger would make it back. Adding to their doubt was the fact that I accidentally misspelled the name of our new street address and decided not to fix it. 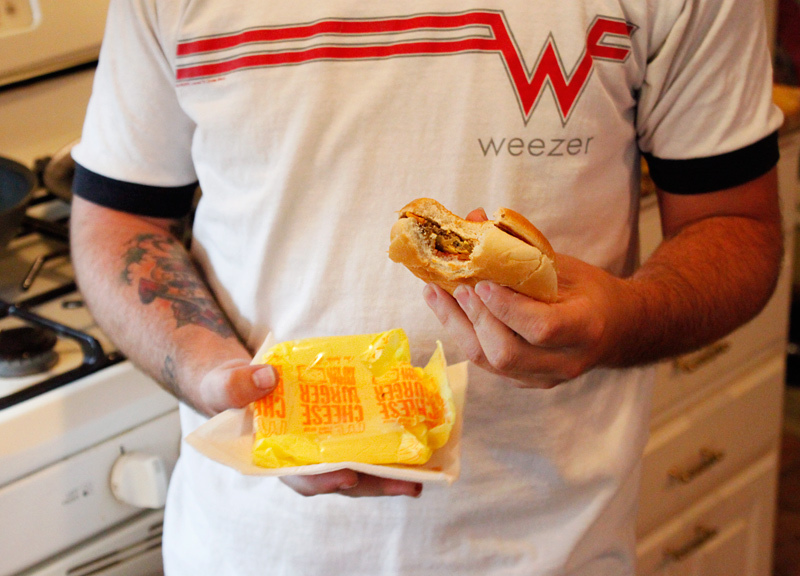 Also, we decided to make this week's mailing a little more interesting by adding in a little wager: If the burger made it safely back to us, I would take a bite of it. 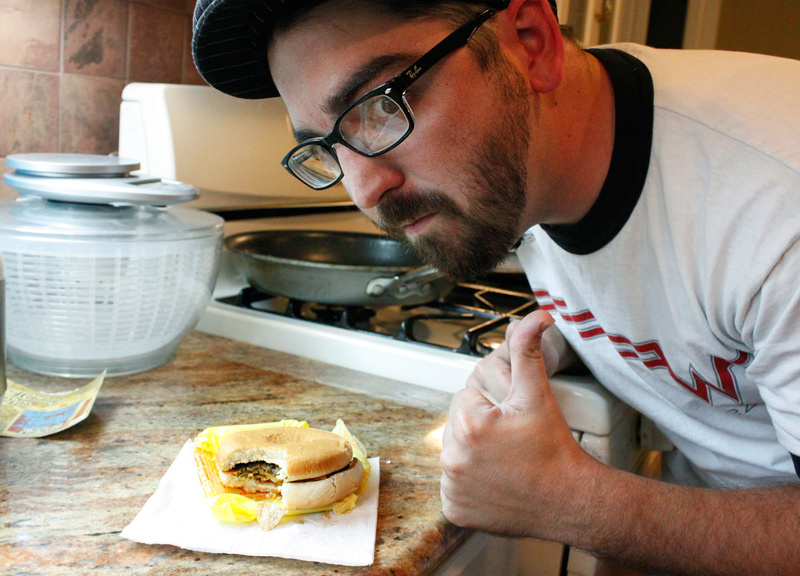 Six days later, we're able to report, our week-old, unrefrigerated burger arrived. And, just like in Super Size Me, it looked and smelled eerily similar to the day that we bought it. Because we're true to our word we can also (proudly?) let you know that, other than the bread being slightly more dry and the cheese being slightly more hard, the burger tasted unnervingly close to a freshly-ordered one. Method: We tore a strip of computer paper, which we stamped and addressed. We affixed it to the burger with two pieces of packing tape. Condition Upon Arrival: Aside from the bun being a little dry and the cheese being a little hard, the burger was no worse for the wear. It even smelled strikingly similar to when we first ordered it. Running “Can You Mail It?” Success Rate: 90 percent. Previous Article07/23/12: Your Weekly Horoscope.